I sat in my dark Boulevard Apartments room on the seventh floor late Sunday night and stared down at the quiet and wet Boulevard of the Allies. There’s a certain calm that comes over this city at the late hours of the night, especially after a gentle winter snowfall. The calm and quiet city provides good vibes for deep thinking and reflecting. Try it sometime. All I could think Sunday night was how amazing the past academic year has been, specifically for Point Park athletics. Oh, and of all the to-do lists that need checked off during the last week of classes into finals week. That’s beside the point. There really were some amazing moments over the past year, despite some teams not posting the best records in their histories. I figured, for the last Croup’s Corner of the semester, why not put my late-night reflecting and thinking to good use? It was the year of 1,000. The volleyball team was loaded with talented seniors, none making headlines more than Shiloh Simonson during her Point Park career. The senior outside hitter registered her 1,000th kill in September to become just the fifth player in Point Park volleyball history since 1991 to reach the milestone. She already tallied 1,000 digs in her career to add icing on the cake. The women’s basketball team had so much potential entering the year, but was plagued with injuries and misfortune. Two deserving seniors notched 1,000 points during the year to highlight an otherwise forgettable season. 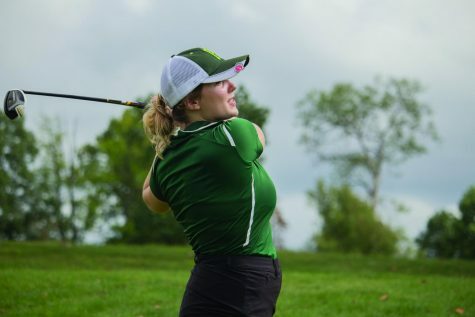 Carly Forse accomplished the feat first, reaching the 1,000 mark just before suffering a season-ending shoulder injury. Speaking of injuries, Ja’Nia McPhatter bounced back from a second season-ending injury to return to the floor for the Pioneers and amass 1,000 career points. The duo became the 13th and 14th players in the program’s 37-year history to score 1,000 career points in a Point Park uniform. It was the year of the turnaround. Simonson’s team had a rough start to 2016. The Pioneers started just 1-10 outside of conference play to start what looked like was going to be a long season. Point Park turned its ship around and raced to a conference-best 15-1 record to secure a bid to the national tournament. On a similar note, the women’s soccer team dropped its first three home games to begin 2016 0-5-1. But the Pioneers toughened out injuries and ended the regular season on a four-game winning streak to amass a 6-2 conference record. It was the year for another ring. That team’s fantastic turnaround led to a magical run in the River States Conference (RSC) Tournament that resulted in back-to-back championships for the first time in program history. It was an All-American year. 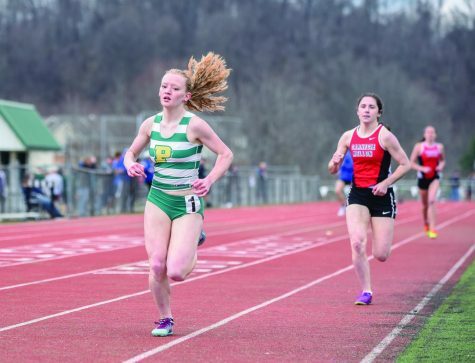 Point Park’s track and field program is in its third year and has taken giant strides with each passing season. 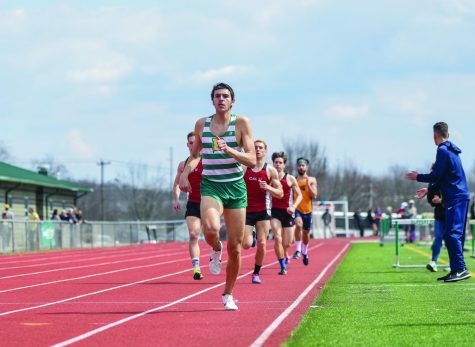 This year during indoor season, the program secured its first NAIA All-Americans. 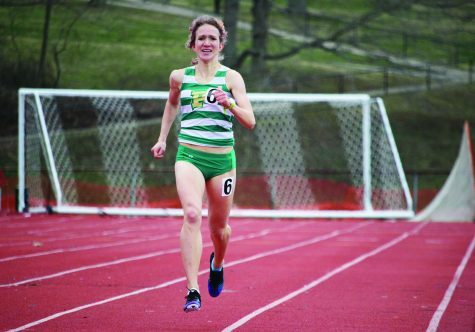 Anna Shields, who broke onto the scene in the fall as a cross country national qualifier, claimed second place in the mile and 1,000 meters at the NAIA Indoor Track and Field National Championships. Her top times earned her All-American status and the NAIA Great Lakes Regional Track Athlete of the Year award. Jryi Davis, in his junior year on the team, also notched All-American honors in the triple jump. Shields and Davis both have qualified for the NAIA Outdoor National Championships and look to secure All-American nods there as well in May. No-hitters are not as common as they may seem after reading consistent headlines in the Globe about baseball and softball players tossing no-hitters. That’s just the way 2017 has gone. 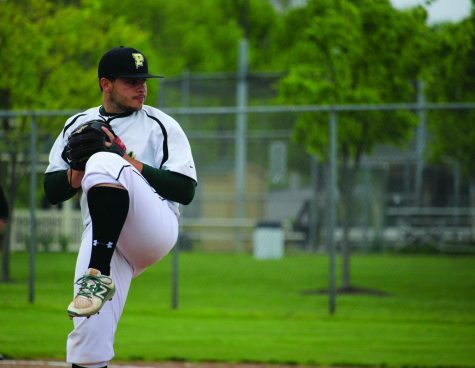 Nolan Krivijanski threw a perfect game against Cincinnati Christian in mid-March to secure a 1-0 victory for Point Park. 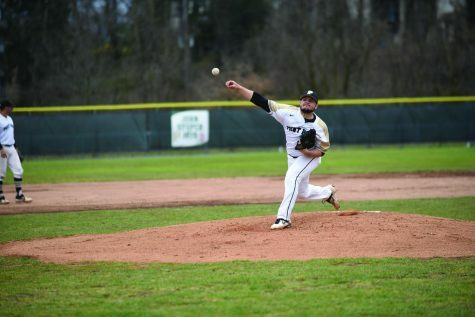 He followed that performance with a one-hitter against Asbury the next weekend. The sophomore tossed a no-hit Ohio Christian in game two of a doubleheader following weekend. We’re not done. Ashley Iagnemma has shut down opposing hitters in the softball batters boxes since stepping on Point Park’s campus last year. 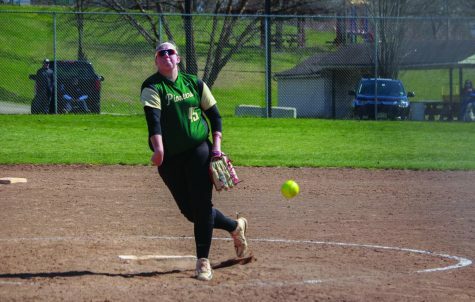 She did just that against Waynesburg University on March 29 in a 9-0 mercy-rule no hitter that ended after five innings. The next time she took the mound, she wasn’t confined to a mercy rule. She no-hit Asbury in a 5-0 shutout April 1, the same day Beardsley tossed his no-no. 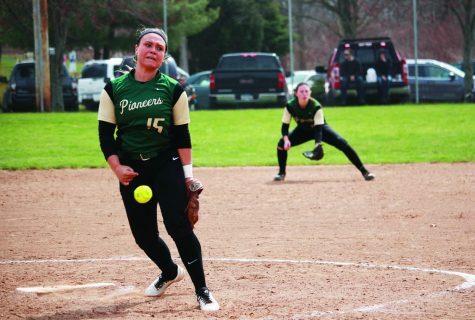 Good luck trying to find the last time a Point Park baseball and softball pitcher both threw no-hitters on the same day. It was the year of 2016-17. You know what’s the best part? The year isn’t even over – it just is here at the Globe. 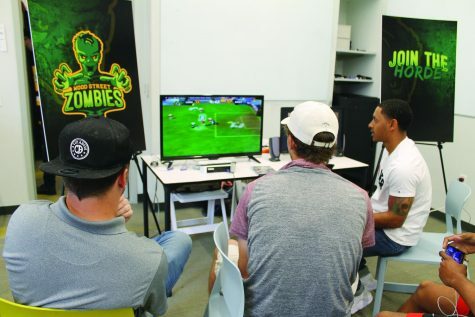 We’re in the home stretch of the spring sports season with conference tournaments yet to be played and championships to be won. There could be more headlines to come. There will be more headlines to come. I just won’t have to write columns about those headlines for a couple months. But in the fall, I’ll be back for one final ride to detail the year that will be 2017-18.